Maybe I’ve been watching too many crime melodramas, but I kept expecting Otto Preminger’s Daisy Kenyon to go in a different direction than it did. It’s a movie that’s often classified as a film noir, and the cinematography by Leon Shamroy is an atmospheric blend of light and shadow. David Raksin’s score is lush and moving. The performances of the film’s three stars are all excellent. But I kept expecting things to devolve into murderous tragedy, and it was a little disconcerting when they didn’t. 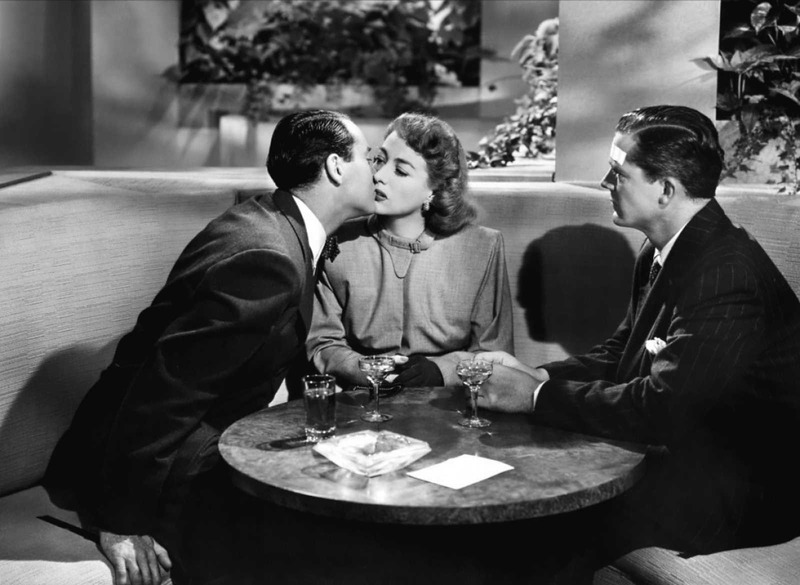 Granted, the film was based on a controversial bestseller by Elizabeth Janeway about adultery, so plenty of film-goers in 1947 and 1948 knew exactly what to expect when they bought their tickets. I, on the other hand, was thrown for a loop by how understated and mature the story ended up being. 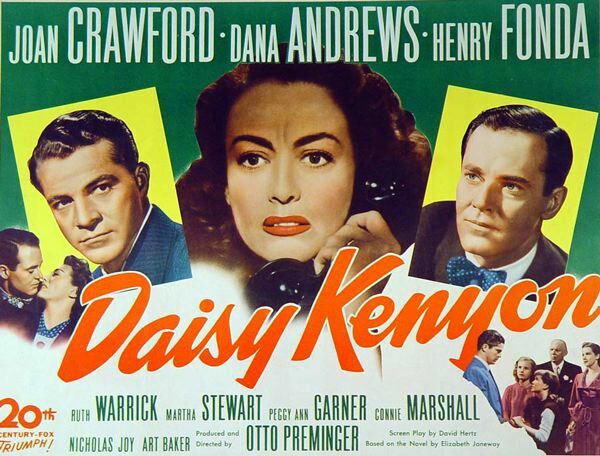 Daisy Kenyon (Joan Crawford) is a successful commercial artist who is in a long-standing relationship with a married man, a lawyer named Dan O’Mara (Dana Andrews). When the film begins, she’s beginning to realize that Dan is never going to leave his wife for her, even though he loves Daisy very much. 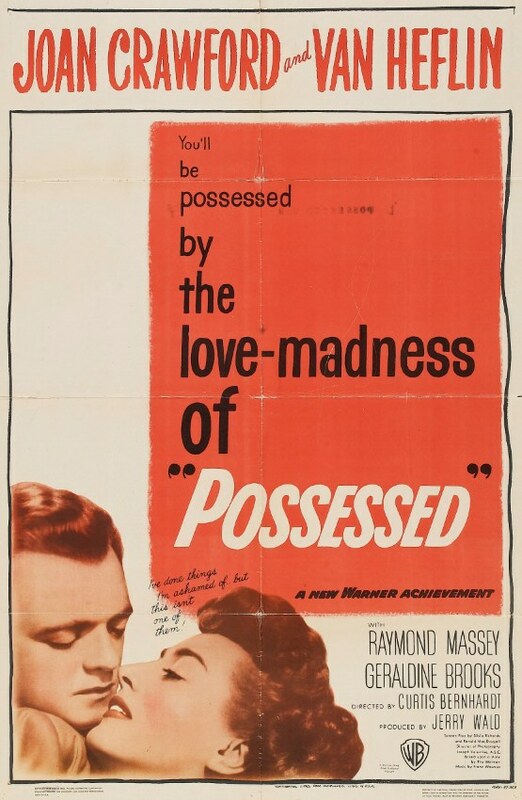 This opening put me in mind of Joan Crawford’s last picture, Possessed (1947), which could be why I kept expecting Daisy Kenyon to end in a murder, a suicide, or both. Another reason is the creepy, shell-shocked performance of Henry Fonda as combat veteran Peter Lapham, the man Daisy hastily marries after she breaks off her affair with Dan. Interestingly, Daisy Kenyon is a story in which things start to go bad not when an adulterous love affair begins, but when it ends. Even though there is a good deal of tension in the relationships between the characters in Daisy Kenyon, I didn’t find myself very invested in the story. I did appreciate that it was a well-made film with no real heroes or villains, but it never fully captured my imagination. The last 10 minutes are really good, however, and I honestly didn’t know how it was going to end. Daisy Kenyon is recommended for Joan Crawford devotees, Otto Preminger completists, and fans of women’s pictures. 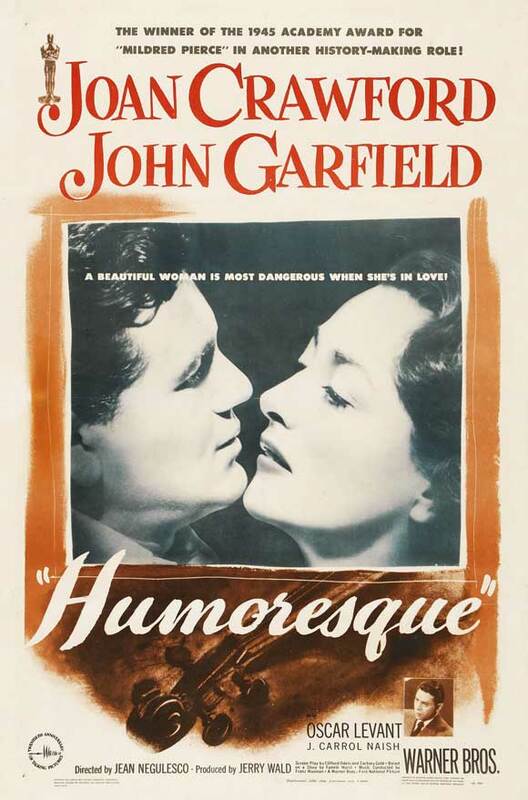 Posted in 1947, December 1947 and tagged 20th Century-Fox, Dana Andrews, Elizabeth Janeway, Henry Fonda, Joan Crawford, Leon Shamroy, Otto Preminger, Ruth Warrick. Bookmark the permalink.